One of the benefits of installing wood floors in your house is their durability. 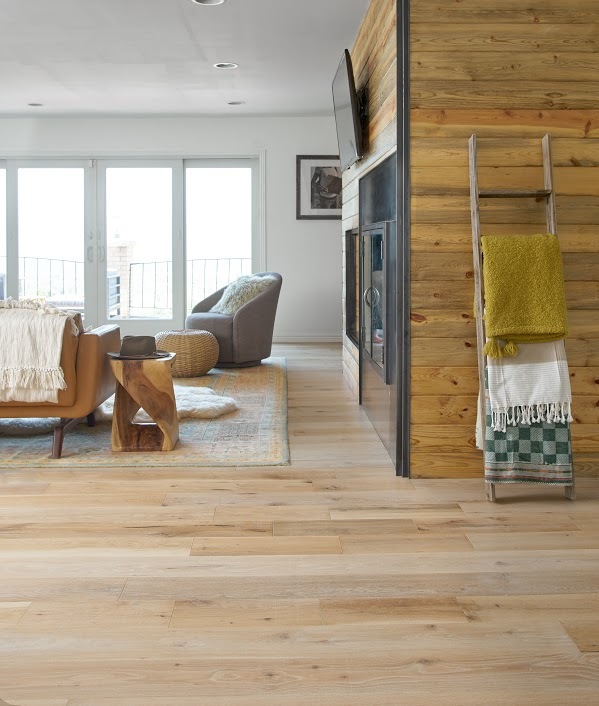 You will be surprised to know that wood floors can last for hundreds of years. Take a tour around your town and you might find an old house with intact hardwood flooring. (In fact we are often patching, sanding & re-finishing 100 year old floors here in Colorado) On the other hand, carpets are prone to damage, staining and faster wear-and-tear. Bottom line wood floors are much more durable than carpet, thus costing you less in the long run. Especially when you compare the base input products, trees versus cotton/nylon. Carpet maintenance can be quite a hassle, especially if you have pets, kids or grandkids. First, you have to vacuum them almost every day to ensure they don’t capture too much dust. Of which you never really get it all out, increasing the chances of allergies and inhaling those pesky dust particles that just don’t go away. Moreover, you have to call in professionals for carpet cleaning at least once a year. That frequency can go up if you have a lot of traffic. When it comes to hardwood floors, light mopping (using a swifer and spray bottle) and sweeping regularly should suffice. You could wait 6-10 years before you have to call in professionals to fix, screen or re-finish your hardwood floors. Again saving you time and money in the long run. Hardwood flooring is a perfect way to add value to your house. There is no better, faster way to add charm, elegance and real value to your home than by adding hardwood floors. Hardwood flooring is a special treatment that catches the attention immediately. Yes, you might not be able to defend your laminate flooring that much but hardwood floors are something to flaunt. As for carpet, they don’t add value to a house at all. Carpets are dust and dirt magnets. They are home to mildew, germs, and a lot of other scary creatures that you don’t want near your family. Unfortunately, you can’t clean and remove all the dust in your carpets 100%, despite professional help. Hardwood floors are an excellent investment when it comes to your family’s health. Dust mites, mold and mildew won’t make home in your hardwood floor. The best thing about wood floor is that you still have the space available to put a rug or a mat in your room if you want. While the hardwood floor is quite a sight per se, you can enhance the looks putting your favorite rug in the middle of the room or maybe underneath your dining table to add esthetic appeal. With that, there is a wide range of hardwoods to choose from, just pop-in to our showroom at 6395 Gunpark Drive, Unit p, Boulder, Colorado 80301 to see your options and chat with a specilist. It is imperative to know at this point that you can have different shades in hardwood floors, by adding a stain or oil color and best yet, you have dozens of colors from which to choose. The options are endless. Call on Floor Crafters Hardwood Flooring, 303.449.3084 for a free professional consultation.